INDEPENDENCE, Ohio, April 26 — The need for proper infrastructure funding was a key point for Vice President and National Legislative Representative John P. Tolman as he delivered testimony on behalf of the Brotherhood of Locomotive Engineers and Trainmen (BLET) before Congress today in Washington, D.C. Vice President Tolman’s testimony also touched upon the need to address rail worker fatigue and maintain important rail safety regulations. The lack of proper infrastructure funding has had a major negative impact on rail commuters, especially those along the East Coast as evidenced by the recent slowdowns resulting from delayed infrastructure repairs at Penn Station. He warned Congress about the dangers of over-reliance on public-private partnerships to solve the infrastructure funding problem, and instead urged both political parties to work together to develop a bipartisan approach to infrastructure improvement. “The story of the growth of our Nation — the expansion of 13 eastern seaboard states from sea to shining sea — is the story of infrastructure,” Tolman said. “It is the story of inland waterways, like the Erie Canal, and the Transcontinental Railroad… But lately we have lost our way. Bipartisan transportation and infrastructure goals that have been shared for a century and a half have fallen victim to the paralysis of ideology… This is the politics of being pennywise and dollar foolish. A railroad can build and maintain world class infrastructure, but if the issue of fatigue on the nation’s railroads is not addressed in a serious and fundamental way, then catastrophic accidents will not cease, Tolman said. In addition to PTC, Vice President Tolman testified that electronic controlled pneumatic (ECP) brakes represent another technology that could help make the rail industry safer. 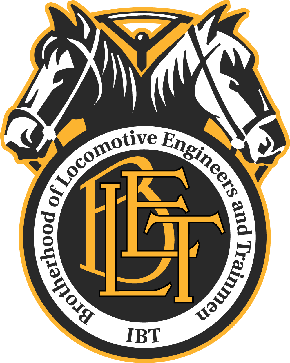 In terms of rail safety regulations, Tolman warned the Committee members against waiving existing regulations based on cost-benefit analyses, stressing that all stakeholders currently participate in revising rail safety regulations through the Federal Railroad Administration’s Railroad Safety Advisory Committee process. Tolman went on to say that the industry’s push to waive safety regulations regarding the testing of train brakes by qualified personnel in favor of track side detectors is an example of an anti-regulatory move that would make the industry less safe. “The detectors can be a helpful tool when used in conjunction with regular inspections, but there is no evidentiary safety basis for their use as a replacement for physical inspections performed by qualified car inspectors,” Tolman said. “The history of the railroad industry demonstrates clearly that you can’t deregulate your way to an improved infrastructure. “When I entered the industry over 45 years ago, one of the first things I was told is that every safety law, each safety regulation and all operating rules were written in blood … that their origin was in some accident that cost railroad workers their limbs or their lives. And my experience as a locomotive engineer proved the truth of that statement to me. In addition to Vice President Tolman, additional witnesses included: Linda B. Darr, President, American Short Line and Regional Railroad Association; Roger Nober Executive Vice President, Law and Corporate Affairs BNSF Railway; Paul Rankin President, Reusable Industrial Packaging Association (on behalf of the Interested Parties for hazardous materials transportation; Robin Rorick, Group Director of Midstream and Industry Operations American Petroleum Institute; and Donald J. Santa Jr., President and Chief Executive Officer, Interstate Natural Gas Association of America.